One of the most famous revolvers of the American Frontier and Wild West age − the .45 caliber Colt 1873 Single Action Army model, also known as the “Peacemaker” is now here and available in all three finishes, blued, antiqued and nickelled. 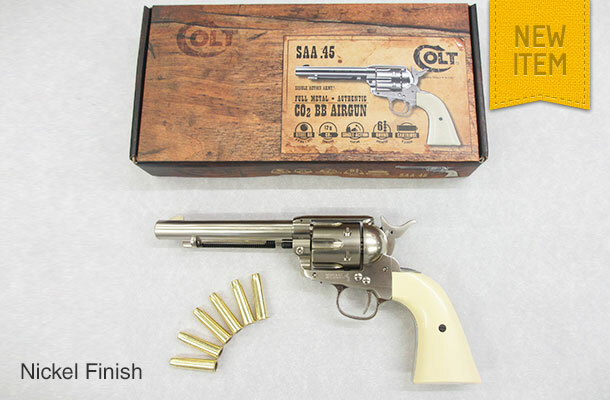 The Umarex Colt Peacemaker is a Co2 powered, 6 shot BB-cartridge-loading Single Action Army (SAA) revolver that has the look, feel, weight, balance and operating features of a real .45 Colt Peacemaker! 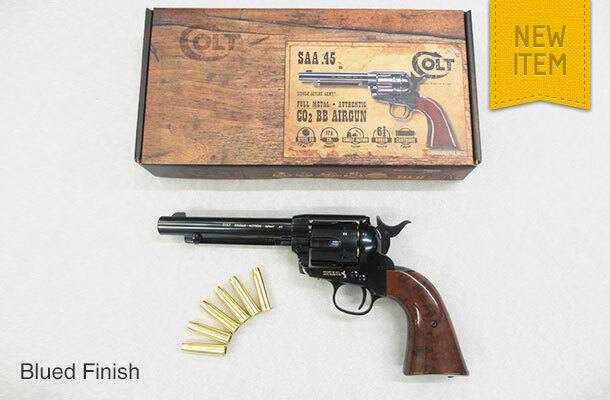 This beautiful replica must be seen to appreciate the craftsmanship in the production. This is likely to become a highly sought-after BB gun.